Earned recognition will help us focus our resources on those who pose the biggest risk to road safety. It’s been a while since we last spoke about earned recognition on the blog. So I thought it would be useful to let you know what’s been happening and what we’ve got planned over the next few months. Earned recognition will recognise operators who show high standards of compliance. It will be a voluntary scheme. 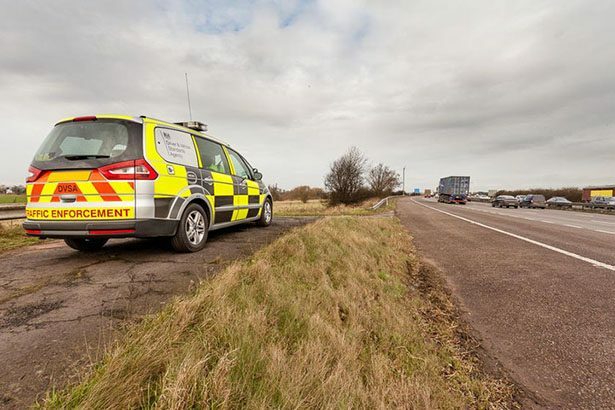 We know that roadside checks cost operators time and money. So that’s why we want to make sure that compliant businesses aren’t targeted unnecessarily. This will make sure that we can focus our resources on the operators who pose the biggest risk to road safety. Over the last year, we’ve been working with IT and audit providers to get us ready to test the concept. We’ll be running a pilot this spring which will last for around 6 months. It’ll test how the earned recognition concept works. We’ll look at everything, from how you apply, to how we monitor compliance standards. We’ll announce more information about what you’ll need to do and how to apply soon. If you have an electronic compliance monitoring system in place already, speak to your IT supplier to see if they’re interested in taking part. If you think your IT supplier would like to take part, or if you’re an IT supplier and want more information, email remote.compliance@vosa.gsi.gov.uk. No problem with earned recognition as long as the system is transparent, independently audited and has a credible appeal system. Without these it may not be credible or serve its purpose. Inevitably some may attempt manipulation. Compliance solicitors are already showing an interest as the industry becomes more litigious. No problem with that either as everybody has to understand their obligations, but ultimately the customer has to pay. Is this mainly for lorries, vans, etc. I am a pensioner and don't use my car a great deal. Should I apply? Earned recognition is only for drivers and operators of commercial vehicles, such as buses and lorries. I will welcome earned recognition that recognises operators with high compliance standards, because it is a nuisance to be pull for a check and then only to be told that they have to release you because you have green light on everything. If the layby is full this could mean a non compliant operator slipping through the net.